Hands Free: Just stand on then it will wrap your feet automatically. 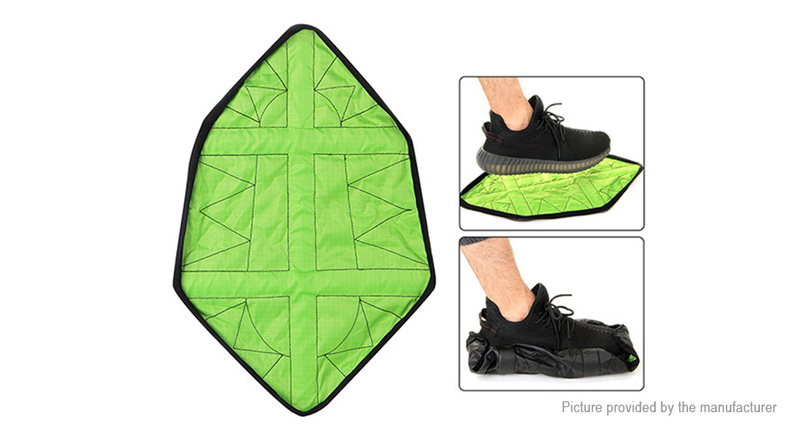 Snug Effectively: shoe covers hold snug onto your feet perfectly. Waterproof: Prevent the penetration of water to your shoes. Non-slip: Non-skid tread pattern with a seam on the bottom to prevent from slipping and falling! Washable & Reusable: Durable material allow you to wash them but not machine washable.Very easy to clean.